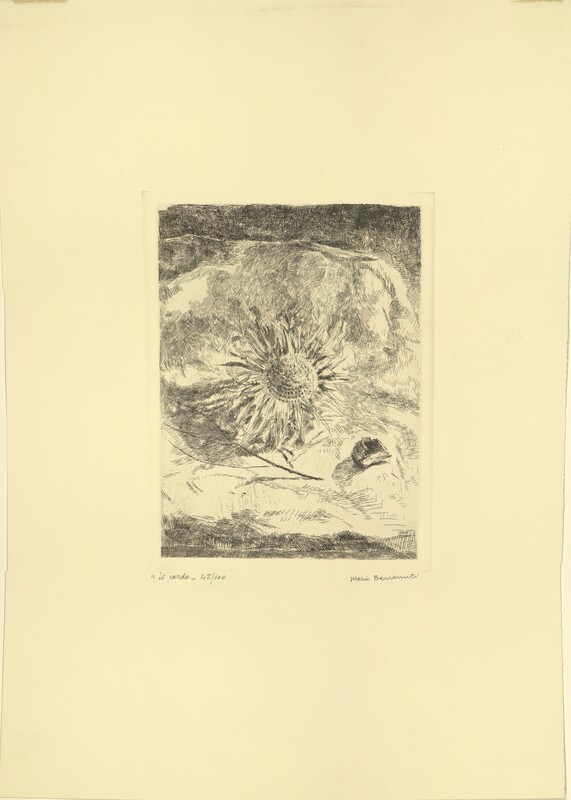 A black and white print titled "Il Cardo". 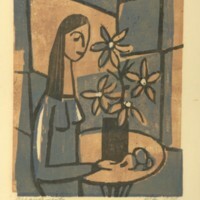 Image shows a flower. It has edition number of 44/100. 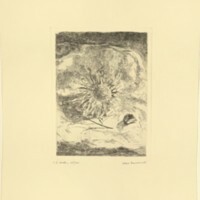 Benvenuti, Mario , “Il Cardo,” Digital Exhibits, accessed April 24, 2019, https://cuexhibits.wrlc.org/items/show/214.